Dear Colleagues, I know you will understand that, as an academic community, we all have an obligation to treat personal data with the care and respect that it deserves. 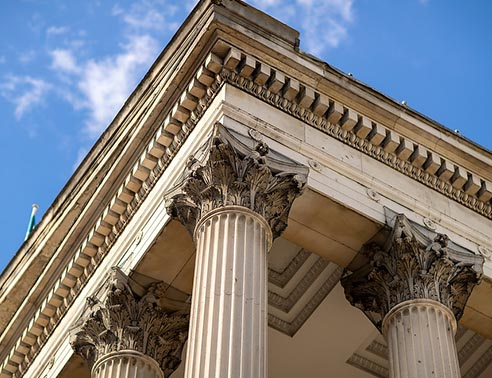 In support of that duty, and as part of UCL's compliance with the new General Data Protection Regulation (GDPR) and the Data Protection Act (2018) ('data protection legislation'), the GDPR Programme team has developed new online training for UCL. The suite of training modules covers data protection but also includes other, related information compliance topics such as freedom of information (FOI) and information security. This training has been developed to enable staff to meet the higher standards of compliance imposed by the new data protection legislation. In an age when the penalties for breaches of data protection legislation can run into millions of pounds and key business partners can refuse to work with us if we do not take information compliance seriously, this obligation has become increasingly important. We need to be able to demonstrate that all staff have been trained in data protection, so successful completion of this training will be a mandatory requirement for all part-time and full-time staff, as well as honoraries and PhD students. This training will be added to the UCL Induction process, and later in 2018, the training will be available to all UCL students. We have explored the option of accepting equivalent information compliance training which has been completed in other institutions (e.g. the NHS) however, to ensure that we meet our commitment to the ICO, we are not able to accept training from other institutions in this first year. We will continue to investigate whether equivalent training is acceptable in later years. A link to the training will be provided in the Week@UCL and UCL Exchanges on 6 September 2018. The training will be online training, which can be completed on all devices, and can be paused and returned to if required.